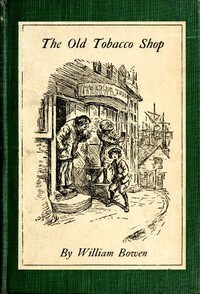 You can buy a copy of The Old Tobacco Shop: A True Account Of What Befell A Little Boy In Search Of Adventure by William Bowen at Barnes and Noble and BooksAMillion or you can read the story for free at Amazon or Project Gutenberg. Magic tobacco transports a little boy and his several adult friends on a quest to an island that also happens to hold a pirate's treasure hoard. This is a 1922 Newbery Honor Book. The narration of the story reminded me of Lewis Carroll and the literary-nonsense genre, which isn't one of my favorite genres so I may be biased in my dislike of the story. The rambling prose shows Freddy's youth to readers and was used to incorporate multiple puns but I found it irritating and I probably missed several of those puns because I skimmed through the needless detail. I just wanted to be done with this book - that feeling hit during the first three chapters and grew as I continued to read. This book also exposes kids to new vocabulary - and the exposure is intended, not happenstance because of language evolution between then and now. I imagine that this book was probably once billed as a fun and easy learning tool for parents/teachers to use with children, but I don't know if I could sit through another re-reading (or, as a teacher, through multiple readings) of this book. I wouldn't be able to give the lesson the full-attention that a child deserves.